Reasons why I stopped getting flu shots [UPDATED INFO] | That's Bad For You! You may want to rethink getting your next flu shot. If you already have received “the stick” it is wise to know what exactly injected into your body. According to the CDC, the flu vaccine contains folmaldehyde (a cancer causing agent), antibiotics and preservatives such as aluminum, monosodium glutamate (MSG), and thimerosol (mercury). Most of these ingredients are known to be bad for humans so why do doctors and pharmacies push so hard for people to get vaccinated every year? They give the impression that the vaccine is safe and is actually helping us rather than harming us. In reality, flu vaccines are literally toxic and highly ineffective. Even small trace amounts of the above chemicals are not good for us and ironically, flu shots can’t guarantee you full protection. Although you may not see the side effects of them now, the delayed side effects can surely turn up later. One research study linked the combination of mercury and aluminum within the flu vaccine to a greater risk for Alzheimers disease. Still, we are still prompted to receive a shot every year. It all makes sense though, the flu vaccine industry is multi-billion dollar industry. 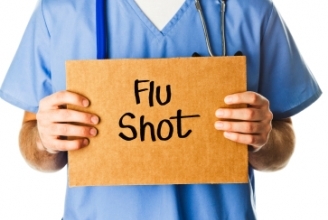 There are plenty alternatives to the flu vaccine that can prevent you from getting this flu this upcoming season. There are several ways to boost your immune system naturally. It seems smarter to spend money on natural flu prevention than on a chemical injection that can’t guarantee you protection. This entry was posted in Bad For No Reason, Extremely Bad and tagged flu shot, toxins, vaccines by thatsbad4u. Bookmark the permalink.